Robust, flexible reservation system designed to handle custom and FIT itineraries as well as fixed and dynamic packages. Manage the sale to your customer seamlessly with all you need at your fingertips. Know more and sell more with a CRM that can do more: automate and synchronize sales, marketing, and customer service. Manage contracts, supply, pricing, product descriptions, minimum lengths of stay, room configurations, close out dates, black out dates and more for any type of travel product or service. Import cost (or sell) prices with excel or connect with Vendors to obtain contract data. Extensive pricing rules system allows for simple and complex pricing rules including mark ups, margin, specials pricing such as early booking discounts or stay/pay and room pricing for extra people and children. Connect with suppliers to get rates, supply blackouts and more and when ready to book, the reservation will be made with the supplier in real time. Rezometry works with Sabre, Travelclick, RBC Insurance and more. The vendor portal allows those vendors, without direct connections, to enter and update their rates, pricing, black outs and more. Having a portal allows for faster updates when rates change, so you don't miss out. Integrated with various merchant processors (Global Payments, Verifi, First Data, Elavon, Moneris and more), you can process credit card payments in real time and get approvals in seconds. Customize your online reservations so it has the look, feel and flow that works for your customers. Or white label the connection for your partners. Comprehensive loyalty solutions allows members to earn and redeem points for any products or trips. Improve efficiencies with an integrated accounting engine designed to work the way travel does. And better yet, no double entry into a third party accounting system! Or if you must, export to excel to process data elsewhere. Knowing what's happening every step of the way is key to the success of your business. 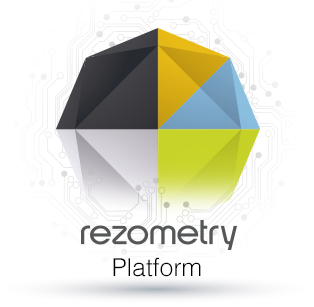 Rezometry provides operational, statistical, management and financial reports to keep you in the know.